Since we don’t have many mailboxes around these parts, I spend a few moments drooling or to keeping amused at Ugly Mailbox. 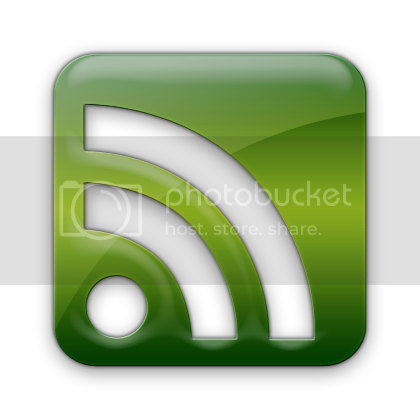 It is pretty easy to do that since I have subscribed via RSS feed–like you can do here…(hint, hint) Then, I just pop in to catch up with all my favorite bloggers or news feeds in one place. Saves time and keeps me up to speed. but it is not home delivery like down-the-hill. We have contractors that drive the mail over to “mailbox row” in those”special” places. I am not sure how you qualify for mail delivery–guess I’ll have to ask a couple of the locals since at least three Fawnskin residents work for the USPS. Here in Fawnskin, full-time residents get boxes and the Post Office is a big community stop after 11am when the mail is up. You can catch up with neighbors and get your news and mail in one simple trip. Mail delivery has its hazards as every mountain resident probably can attest. Many people use the private box options and pay to have a street and box number so they can simply say, “Use both address lines or it won’t get here.” The rest of us, well–it can be a pain. You see, people still address mail to home addresses despite what you tell them. If someone sends something incorrectly, more than likely, it will get returned because many areas in the valley do not have street delivery. I’ve had postal employees stop me to let me know something came incorrectly addressed and to stop by the window. Once I had someone send something general delivery to an area where I did not live–and my visitor found it amusing that the word got to me at a coffee house. That is not the norm, in most cases the mail gets returned. Areas where you can receive mail up here included Erwin Lake and an area in Big Bear City. 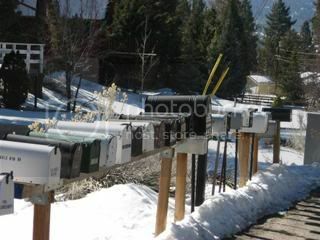 I also see boxes in select areas of Big Bear Lake, Shay Meadow, Eagle Mountain…but in most cases I don’t pay attention and new residents often are surprised to learn that mail is a big complex issue up here. Sometimes, nobody has told them about the mail protocol! Problems with street delivery that concern some locals is mail theft–and this year I saw some knocked over by the snow plow. This entry was posted on Saturday, February 23rd, 2008 and is filed under Mountain Lake Resort, Small Town Living. I am told that we don’t have street delivery up here because the roads are too narrow for two way traffic when there are snow berms on the sides of the roads. When you are receiving a parcel, always put your box # after the zip code (92315-0555). In Big Bear Lake, if there is a street addressed parcel with a zip plus 4, we will check the plus 4 to see if that is a valid box for the addressee. 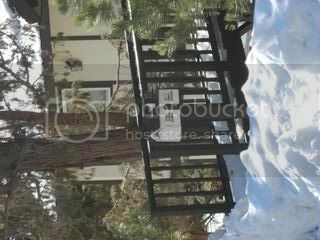 The boxes that you see in Big Bear Lake are called cluster boxes. The people living around those boxes full time can have one of them. We have two rural carriers that deliver to those boxes. They are in the Boulder Bay area and the Moonridge area.